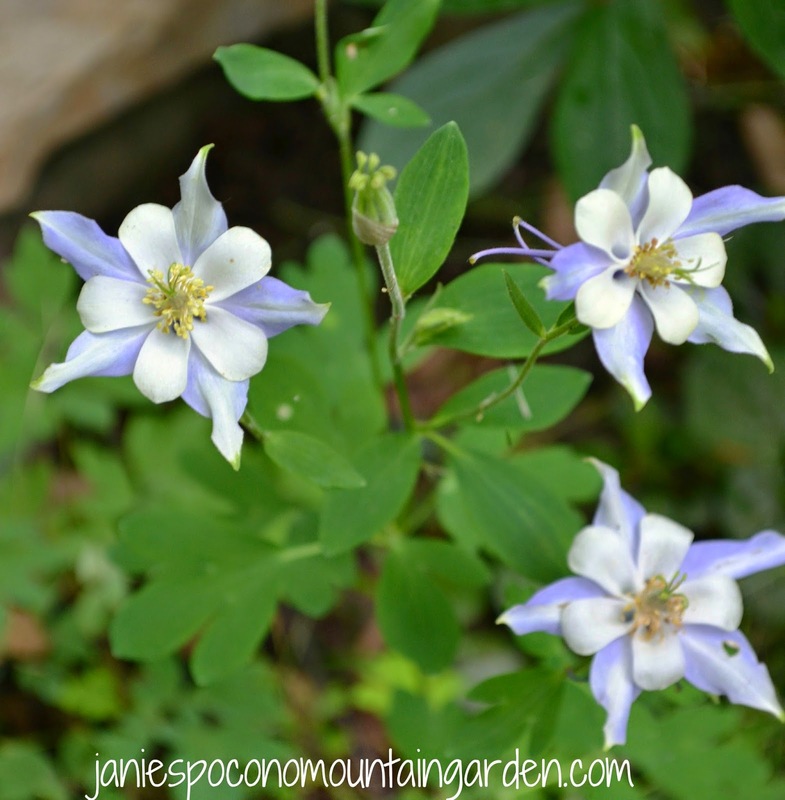 Janie's Pocono Mountain Garden: My Mysterious Columbine Blooming In My Pocono Garden ... Just One, Dang It! My Mysterious Columbine Blooming In My Pocono Garden ... Just One, Dang It! Pretty, huh? I bought it on clearance from Walmart 4 years ago. No name. Half dead. Well, for 75 cents I thought, what the hey. I cut off all the dead stuff and planted it in a semi-shady spot in my front yard. So far it's come back every spring and blooms its little head off! 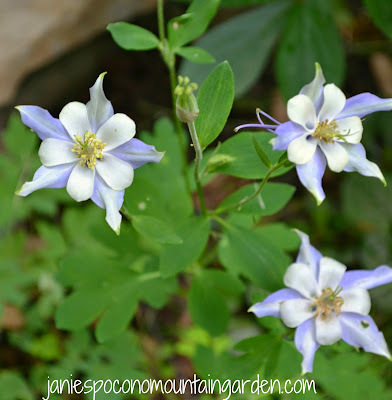 Oh, there have been other columbine plants that have bloomed. About 3 years ago I grew some McKana's Giant Mix columbine from seed with good results. All had blooms their second year. I still have a decent size clump of the one pictured above. Right now just a nice clump of leaves mind you. These did bloom last year, but later than my mystery pink columbine. And they met the same fate. Something ate them, too. So .... no re-seeding here either. But ... this year there is a nice clump of leaves. Hmnn? Maybe there's still a chance?